The cryptocurrencies are becoming the bread and butter of crypto coin investors. There are over thousand of cryptocurrencies in which people invest every year. There are cryptocoins such as Bitcoin, Ethereum, Dogecoin, Bitcoin Cash, which are few of many popular cryptocurrencies that developers love to invest. One such cryptocurrency that has attracted a magnitude of investors is the Dash coin. Dash coin is recognized as the upcoming cryptocurrency that is destined to beat the market of all other cryptocurrencies according to many experts. This prediction is derived from the market growth and the market history of the Dash coin. The Dash coin was released as XCoin on January of 2014 which was then upgraded and named Darkcoin that showed the user anonymity. Then after a year as Darkcoin, it was rebranded as Dash coin on the March of 2015. During this time period Dash coin had a robust system where the information of the user was protected with high-end encryption and security. 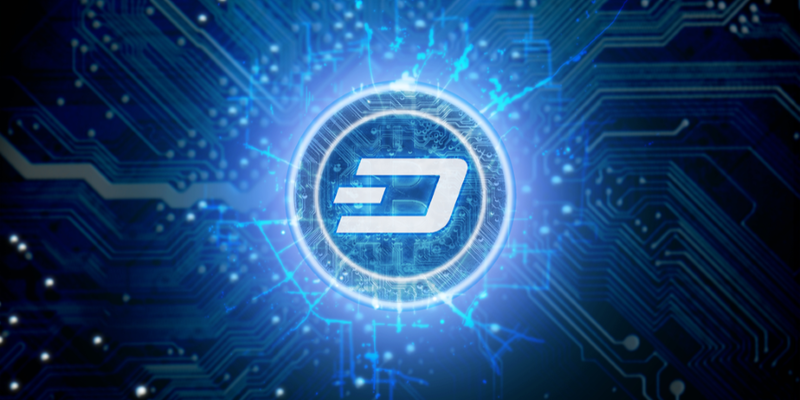 The Dash coin uses blockchain technology which is the same technologies that are used by Bitcoin. The superior encryption technology has helped Dash coin establish trust in the mind of investors. This trust was upheld by Dash by investing millions of dollars in the improvement of Dash coin and its security. Hence Dash has the potential of working as real currencies and here are some more reasons that will justify this statement. The market of Dash coin is among the top cryptocurrencies on the planet. The market capital of Dash is roughly over $3 billion USD which is among many altcoins that are the favorite of investors. This, combined with the constant gradual market growth of Dash, leads to estimates that Dash will get ahead of many crypto coins that are stable at the moment. The current circulating supply of Dash is comparatively more than many other altcoins, standing at above 8 million Dash coins. The above-given statistics have helped Dash gain 13^th^ rank in the list of top cryptocurrencies. The technology that is improving day by day is helping Dash to create efficient solutions. The Dash coin is a two-tier network where one is controlled by the miners and the other is filled with masternodes that provide users with features that can support faster and cheap transactions. The masternode is like the main node in the blockchain through which all the transaction flows. This ensures that the data of the user remains secure. Similar technology is being further developed by traditional payment gateway companies to make payments safer for everyone. This is the main forte of Dash coin where they invest nearly $2.5 million USD that is used for improving Dash, to further assure the security of Dash coin and its investments. Important issues are addressed in this improvement drive, where Dash becomes more and more reliable as an investment. The transaction time is comparatively less than Bitcoin which is considered as the best crypto coin in the world. While Bitcoin only offers 7 transactions per second, Dash offers 4000 transactions per second. The miners can easily generate blocks in Dash at a fast rate and the speed of the block generation is superior to Bitcoin. The Dash coin is completely decentralized and anonymous. The use of masternodes, mentioned above, is responsible for the security and anonymity of the user and transactions. Thus Dash has an efficient blockchain that makes it an ideal payment model. The above-mentioned features are utilized by Dash and have lead to many speculations that it can work like real currency. Many theories are also derived based on the data that it can replace fiat currency in the near future, but only time will tell the real outcome. Even though, Dash may be a good short-term investment that can help you gain profit. There are many platforms that can help you gain cash by Exchanging Dash coins.